As a customer or visitor of EvoEssay.com, you are obligated to follow these policies whether you opt to review them or not. Completion and submission of an order form is automatically considered to be acknowledgment that you have read these pages and that you understand them. We have been careful to provide, on every order form, a space where you can communicate specific instructions to us regarding the structure and content of your order, along with any methods you wish for us to follow. When we assign your order to a writer, these are the instructions your writer will follow as he or she works to fill your order. In the event that you do not have enough room to include all of your instructions, or if you need help in communicating your requirements, our customer service staff will be happy to assist you. We will do whatever we can to ensure that your needs are adequately stated to our writers. If you have special instructions for us, please be prepared to answer questions from your writer. These questions and requests for clarification will be posted on your account page on our website. You will be able to view these upon logging into your account. Please remember that successful fulfillment of your order depends on your timely responses and that we are not accountable for any delays that result from your failure to respond to these messages. We encourage you to keep your contact information updated at all times. This includes your phone number, email address, physical address, and last name (should it change for any reason). We utilize this information to stay in contact with you. If we cannot contact you, we are unable to fulfill our obligations to you. In order to protect ourselves, and our customers, we place limitations on the ways in which you can use the products you purchase from EvoEssay.com. Your purchase of our products gives you rights only to use them as an example to be used for research and reference purposes. If you elect to use our products in any other manner, you are fully responsible for the consequences of that use. In addition to this, you are specifically forbidden to sell or distribute our products for personal or financial gain. Our standard procedure when it comes to conducting research is as follows: In the absence of specific instructions, our writers will use their own discretion in selecting sources that they believe are the most appropriate for any particular assignment. However, if a customer has specific instructions relating to the resources or types of resources that are to be used, the writer will make every effort to comply with these instructions. In the event that the writer can locate these sources using links provided by the consumer, performing an internet search, or accessing a publicly available academic database, the customer does not need to take any further action. If this is not the case, the customer must upload the sources or take steps to otherwise make them available. Please note that any charges relating to accessing sources will be added to the customer's bill, and that EvoEssay.com reserves the right to delay continuing work or delivering the final product until that cost has been covered. Timely delivery of source material is necessary in ensuring that deadlines are met. We understand that it is sometimes necessary for customers to cancel an order. Our ability to grant a refund or credit in these cases corresponds to the amount of work that has been performed prior to the cancellation. At our discretion, refunds may be issued in the form of store credit. 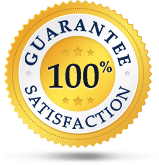 We understand that you want your document(s) to meet your high standards of quality. Because of this, you are encourage to request revisions any time you believe that we have not succeeded in meeting your standards. If we determine that we have indeed made an error in following your instructions, we will happily revise your document(s) as quickly as possible at no charge. However, if your request indicates a change to your original instructions, we will charge a fee. Even though we take steps to avoid them, many technical issues are outside of our control. These include but are not limited to power outages, network issues, and viruses. We are not responsible for issues resulting from any technical problems. We accept any standard method of payment. Feel free to use your credit or debit card, your PayPal account, or wire transfer. If you would like to use a payment method not listed here, contact customer service and they will most likely be able to help you. We only provide our customers with documents that are completely original. We do not plagiarize content, nor do we buy or sell papers from or to other vendors. We will provide turnitin.com reports upon request. In turn, if a customer believes that any portion of writing from us has been plagiarized, we will request the results of a TurnItIn scan for verification. We take every step possible in order to ensure that you receive your document(s) on or before the date in which you need them. However, as our customer, it is your responsibility to provide accurate contact information, to reply to communication, to upload any needed materials, and to provide any information that is needed to verify your identity and/or process your payments. If any delay is caused by your action or lack of action, or the action or lack of action of a third party, we are not responsible for that. You are expected to submit payment in a timely manner. We will not begin work on an order until we have received payment. We will not deliver an order until you have met your financial obligations to us. If customer failure to provide timely payment results in production and delivery delays, we are not responsible. Please feel free to contact our customer service staff whenever you have a question or a concern. They are here to answer all of your questions and help resolve any problems. In order to help you, obtain academic success, we must understand the grade level at which you are working. This allows us to assign a writer who is most able to help you. It also helps us to deliver documents that are most appropriate for you. If you do not provide this information, or if you choose to provide inaccurate information, your grade is likely to be negatively impacted. Please keep in mind that your grade level impacts the price that you are charged. Please enable cookies from our website. These are solely intended to enhance your user experience at EvoEssay.com. We have determined that we are fully compliant with all laws that apply to us. In addition to this, we take it in good faith that our customers have done their due diligence in determining that they are in compliance with all laws that are applicable to them. If we believe there is any evidence of a legal violation, we will report such violation and cooperate with any investigation. Please visit our discounts page for information on these programs. If you don't wish to receive emails about these programs, you have the option of unsubscribing from our email list.